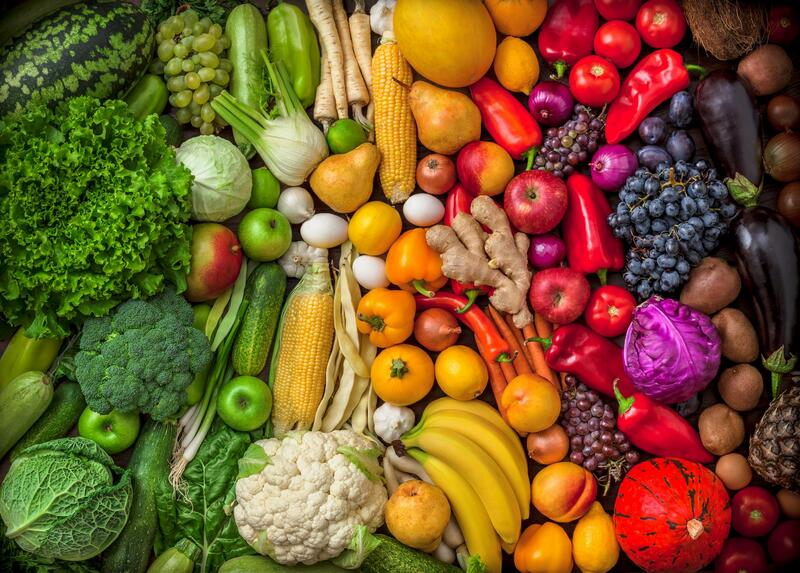 People who eat more vegetables and fruits as a part of their diet on regular basis have healthier immune systems with reduced risk of chronic diseases. Fruits have zero cholesterol and low calories which makes them ideal food to include in the diet plan. Fruits are a source for essential nutrients for the body which include fiber, vitamin C, potassium, and folate. Each nutrient has its vital role for optimal health which supports the body to fight back infections. Vitamin C: This is vital for the growth of tissues in the body and maintain healthy teeth and gums. It also helps in healing wounds and cuts with its properties. Fiber: Dietary fiber is essential for keeping the heart healthy by lowering cholesterol levels. It also helps in digestion by regulating bowel movements. Fiber helps remain fuller for longer periods of time making us consume fewer calories. Potassium: Potassium helps in keeping blood pressure in control. Fruit sources of potassium include bananas, prunes, apricots, peaches, and oranges. Folate: Folic acid helps in building red blood cells. Women who are trying to conceive should consume folic acid to prevent neural tube defects in baby. Folate from food sources should be taken with additional supplements to fulfil the body’s requirement. Fruits are essential for good health as they reduce the risk of heart disease. Some vegetables and fruits may also give protection against cancer. Fiber rich fruits and vegetables will help in reducing the risk of diabetes, obesity, and heart disease. Potassium rich fruits help to keep the blood pressure levels low which also prevents heart stroke. Eating fruits that are low in calories can reduce the daily calorie intake as they will replace the higher calorie foods. Fruits also help in preventing bone loss and decreasing the risk of kidney stones. Eating Fruits on regular basis can boost your overall health. Fruits help overcome nutrient deficiencies and prevents many chronic diseases. Here are the healthiest fruits that should be included in the diet plan so as to nourish the body. Citrus fruits are really good for health and grapefruit is one of them. It is the best source of vitamins and minerals and also helps in losing weight. It is good for diabetic people as it will reduce insulin resistance. This nutritious fruit prevents kidney stones and also reduces cholesterol levels. Bananas have potassium which helps keep the heart healthy. It helps the digestive system to keep bowel movements regular. Greener and unripe bananas have benefits for blood sugar control. They also contain pectin which helps improve blood sugar and digestion. Tropical fruits are nutritious and contain vitamins and minerals for overall health. They contain manganese and help in digesting proteins. They may help in reducing inflammation and the risk of cancer. Avocado contains healthy fats and is different from other fruits. They fight inflammation and improve heart health. Avocado is rich in fiber, manganese, and potassium which reduces the risk of heart stroke. The nutrition profile of blueberries is impressive as they contain antioxidants which may reduce the risk of many chronic diseases. Blueberries have powerful properties and protect your brain. These enhance the immune system with important nutrition. Apples are high in fiber content, vitamin C, potassium, and vitamin K. They are highly nutritious and popular all around the globe for their beneficial properties. The antioxidants in apples are good for heart health, diabetes, and cancer. They also aid digestion with the nutrient called pectin in them. These are high in antioxidants and are said to have 3 times more of them than green tea. Pomegranates are nutrient dense and have anti inflammatory properties. Mangoes are popular all around the world for their taste. They are a wonderful fruit to enjoy in summers. Not only are they tasty but they also are rich in vitamin C and fiber which help reduce the risk of chronic diseases. Diabetics can also enjoy the fruit as the vitamins will benefit them. Strawberries are loaded with nutrients and healthy properties. They have low glycemic index as compared to other fruits which is a plus point. Strawberries do not spike up blood sugar levels as other fruits may do so. This fruit also has antioxidants and can fight cancer and tumor formation. They have a sweet and sour taste which is loved by most people. This is a fruit to enjoy in salad, smoothies, and desserts. You can never be amazed enough by the nutritious properties of various fruits. Cranberries are just another fruits known for their benefits for overall health. They are rich in vitamin C, vitamin K, vitamin E, manganese, and copper. They have antioxidants which can improve heart health also. Cranberry juice can help to fight urinary tract infection. Lemons are from the citrus family containing loads of vitamin C. They are known to lower blood pressure and are heart friendly. They also help in losing weight and prevent weight gain. The citric acid in lemons helps in treating kidney stones. Durian is also known as the king of fruits. It is rich in vitamins, copper, manganese, folate, and magnesium. These have promising health benefits and should be included in the diet. Watermelon is a great fruit for summers. They help you keep cool in extreme hot weather. The water content makes your stomach full and so these are good for weight loss too. These are rich in vitamins A and C. They also reduce the risk of cancer and inhibit tumor growth. They also reduce cholesterol and blood pressure in order to improve heart health. Olives are nutrient rich and contain vitamin E, iron, and calcium. All these help you keep healthy and fit. Olives will also prevent heart disease and cancer. Blackberries are loaded with vitamins, minerals, fiber, and antioxidants. The antioxidants help to reduce inflammation of the arteries. The fiber content will also help in fighting chronic diseases such as heart disease and diabetes. Oranges are an excellent source of vitamin C. Citric acid in oranges help to reduce the risk of kidney disease. Oranges are very similar to lemons as they both are citrus fruits with impressive beneficial properties. Grapes are very healthy and have high amounts of antioxidants. They help in fighting inflammation. Grapes may also lower the risk of other diseases with their amazing properties. Guava has amazingly high content of vitamin C. Only an ounce of guava can give your daily recommended intake a boost to 107%. Guavas also contain vitamin A, folate, potassium, copper, manganese, and fiber. The antioxidants in guavas protect the cells from damage. Papaya is a beneficial fruit as it contains all essential nutrients. It aids digestion, makes protein digestion easier, and fights diseases. Cherries are loaded with antioxidants that will protect the body from various diseases. It contains melatonin hormone which helps to treat sleep disorders. This is the hormone that signals the body to sleep. Fruits have beneficial properties for overall health. It is good to have a variety of fruits in your daily diet plan as they will keep your immune system strong and help it fight various diseases. Have a look at the Vegetable Diet Plan to known more about the benefits kf vegetables too.